The goji plant is mainly found in the Himalayan Region, and is a rich source of polysaccharide. This helps in strengthening the immune system of the body and hence fights with the undesirable side effects of many treatments. The Himalayan Region is home to Mount Everest, the world's highest peak, and boasts the existence of the Abominable Snowman and the Dalai Lama who is the supreme head of Tibetan Buddhism. This region has always been an allurement to Western Civilization. Lately has the western world discovered yet another abundance of this area. Goji plant - a boon in disguise. Knowing the basic facts regarding this plant and the possible health benefits associated with the plant, you will surely cherish the importance of the goji plant. The goji plant is indigenous to the continent of Asia. Specifically, it is abundant in the parts of Western China, Tibet and Mongolia. The goji plant genus is composed of over forty variations of this beautiful plant and is known for their healing properties. 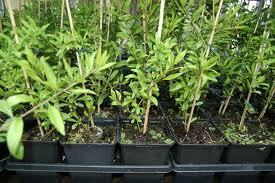 The goji plant shrubbery is robust and grows to a height ranging from eight to ten feet tall. Their seeds are similar to those of a tomato. The plant needs very less of water. As it is a hardy plant, it does not sustain well in a balmy environment such as a tropical climate. As far as the appearance is concerned, the leaves of the goji plant are a deep green in color; the fruit that is produced is a vibrant red and tastes pleasantly sweet. The pulp of the fruit renders the nutrition and benefits. This fruit can be consumed in dried form or eaten naturally. The fruits or the leaves can be squashed to get a tasty, juicy beverage. Even the flowers beared by this plant are gorgeous pink in color and appealingly soothing to eyes. There are umpteen varieties of the goji plant out of which the most beneficial is the one found in the higher elevations of the Himalayas. The health benefit rendered by the plant is mainly due to the polysaccharides present in it. Polysaccharides control the molecules within the body and ensure the health of the body's immune system. Therefore, the goji plant helps in strengthening the immune of the body. It also fosters the advancement of healthy cells through the enrichment of polysaccharides.